Imran Zia, the former chairman of Pakistan Software House Association (PASHA) and CEO of Vahzay Inc, has been recently appointed as the new Managing Director of Pakistan Software Export Board (PSEB). Imran Zia has over 17 years experience working in senior managerial positions in sales, consulting, product management and product development at Oracle, Altera and other hi-tech companies. 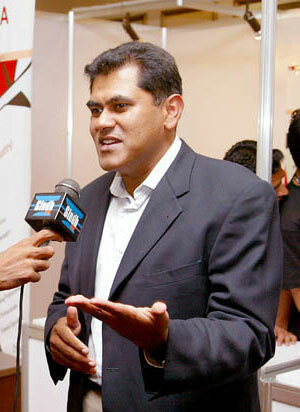 Mr. Imran is an MBA (Finance and Entrepreneurship) from the University Of Chicago Graduate School Of Business. He is also an MS (Computer Engineering) from Cornell University and a B.Sc. (Electrical Engineering) from UET, Lahore. He is an absolute _________ when it comes to real delivery. You should investigate his track record, for how his clients have fared. More over does he really understand the needs for a successful software export business? Not if one evaluates his own failure at Vahzay. Oh well another Pakistani with illusions of grandeur. God bless this country. What a f—– guys around us. They can even not get Paypal in Pakistan. Uhh! No protest, No meeting with ministry of finance. How we can progress? Leeching the blood of poor webmasters of Pakistan. Pakistan is not participating in GITEX 2010 Dubai due to PSEB’s MD (Mr. Imran Zia) mismanagement.